On the dry-erase board she writes, “If people would just ________ they wouldn’t be poor.” The group of high school students from Wisconsin answer with a variety of reasons such as: work harder, go to college, invest their money, budget better. 20-year-old Ayrianna Longs, a junior at North Park University, leads a poverty simulation during a BridgeBuilders visit. This poverty simulation takes visitors to the Woodlawn community through a variety of scenarios in which they are asked to make a difficult decision, similar to decisions many people in the community face on a daily basis. For Ayrianna, the passion she brings to discussing race, poverty, and justice comes from real-life experience. 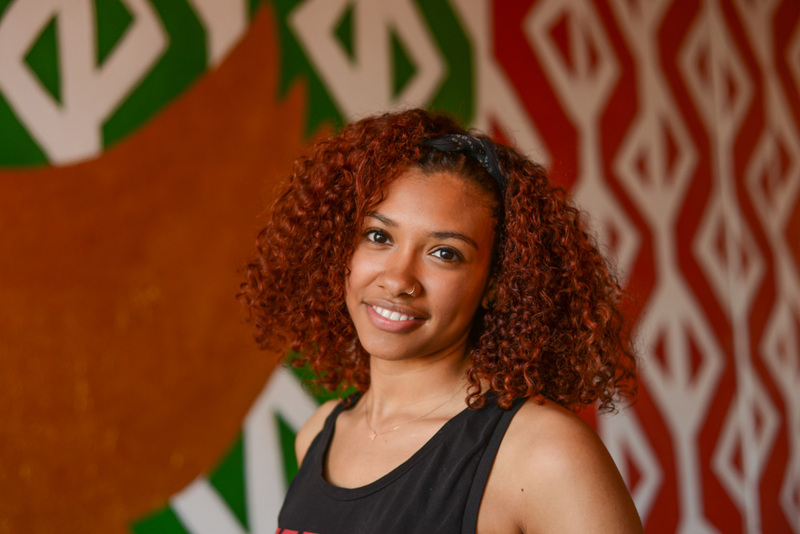 Ayrianna grew up just a few blocks from Sunshine in the Woodlawn neighborhood. She was involved in many of Sunshine’s programs from the time she was in elementary school. She excelled academically and was admitted into the prestigious Walter Payton College Prep High School. Hard-working, an observer, and even shy when she was younger, Ayrianna is becoming a voice for her generation. Sunshine was blessed to be able to bring her on staff this summer to help lead BridgeBuilders groups.